Jeff Carson, an American country music artist, was born in Tulsa, Oklahoma on December 16, 1963 and raised in Gravette, Arkansas. In his childhood, Jeff played harmonica and guitar, and sang in church. In high school, he and his high school friends formed a band, which performed the Eagles song "Seven Bridges Road". The band won second place at the school talent show; this success inspired Jeff to pursue a career in music. Carson co-wrote a song on Craig Morgan's I Love It album, called "Where Has My Hometown Gone?" Originally a session musician in Branson, Missouri and later a demo singer, he was signed to Curb Records in 1995, releasing his debut album that year, followed by Butterfly Kisses in 1998 and Real Life in 2002. 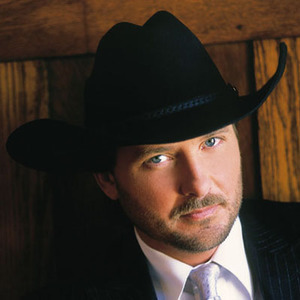 He has charted fourteen singles on the Billboard country charts, including the Number One hit "Not on Your Love", the Top Ten hits "The Car" and "Holdin' On to Something", and the Top 20 "Real Life (I Never Was the Same Again)". Carson retired from country music in 2009 and became a police officer.